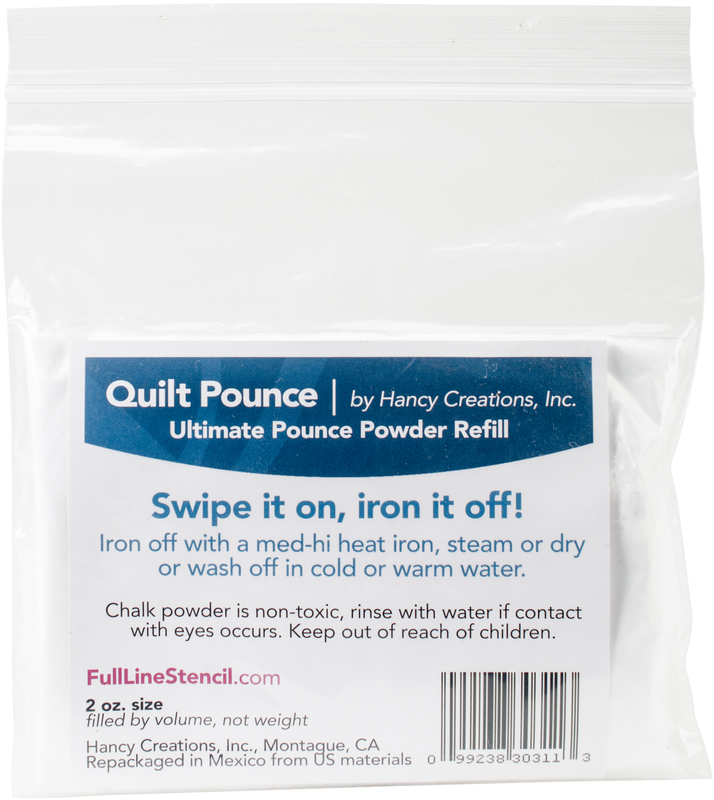 Hancy-Ultimate Quilt Chalk Refill. The perfect tool for transferring any sized stencil to any tape of fabric for machine or hand embroidery It is so simple! Lay your stencil down run the filled pounce pad over it (pad sold separately) and the design is transferred. Saves you time, is an accurate tool and is safe for all fabrics. This package contains 2oz of white pounce powder refill. Non-toxic. Imported.